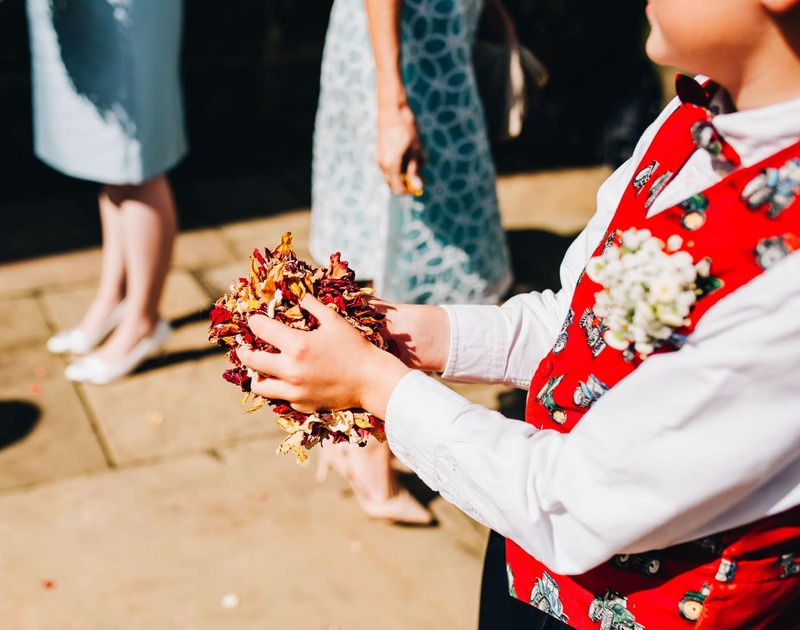 Conversation with some fellow wedding photographersthis week about what our favourite part of the day is and without hesitation I said – the confetti shot. I love it. 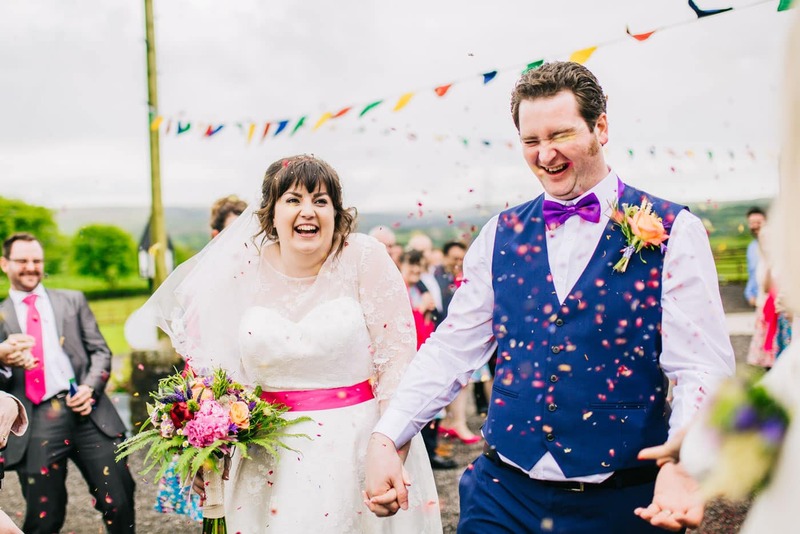 For me it sort of epitomises all the good things about a wedding – guests, laughter, colour and just a bit of chaos. It’s one of my most requested shots and having now shot over 150 weddings I’ve seen some amazing confetti moments and some that have been a little lackluster. 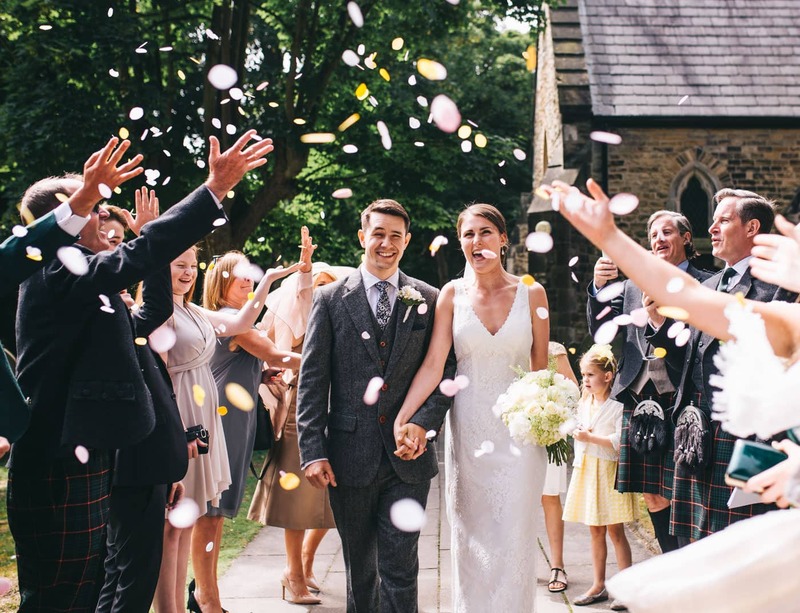 So here’s a few tips to get the best confetti shot from your big day. The first thing to consider is location. Discuss with your photographer the best place to have your confetti shot. 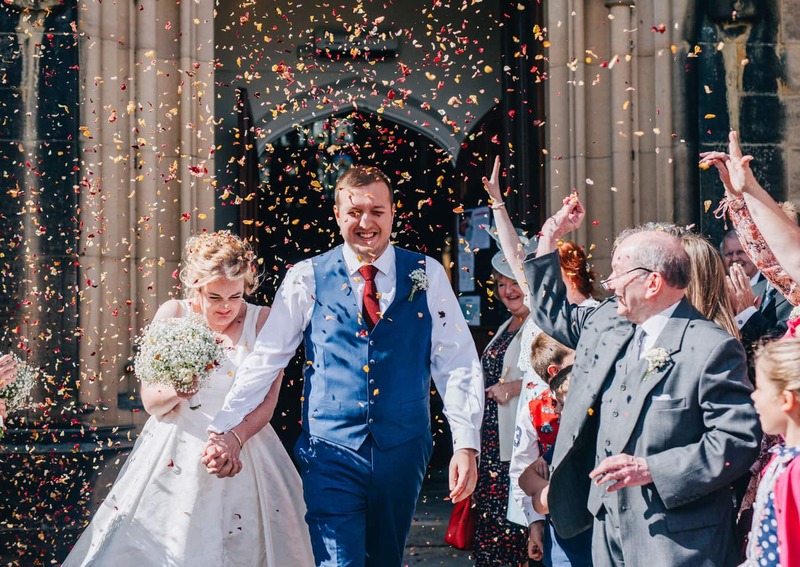 Traditionally they are done as the couple leave church but many churches are now reluctant to allow confetti in the grounds so it’s worth checking with your church or venue to see what their rules are. 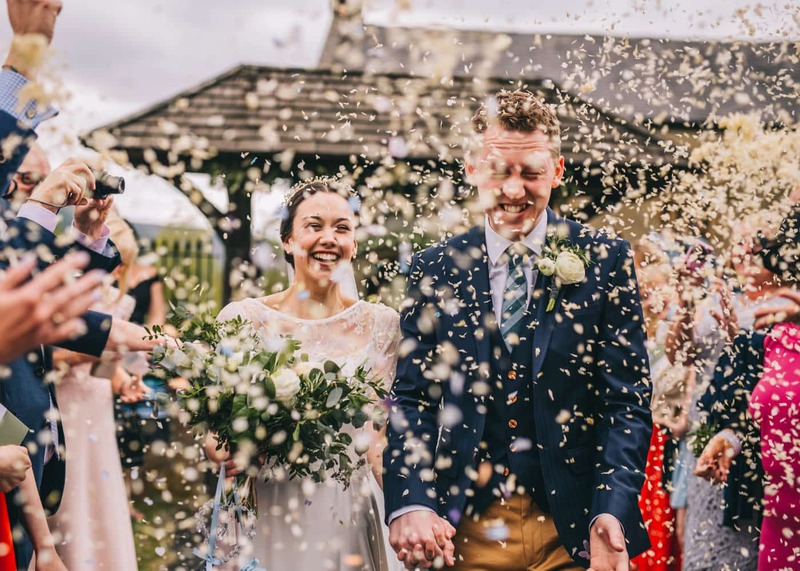 Your photographer may also suggest a better or more picturesque location for the confetti shot but bear in mind that you need to have it somewhere convenient so your guests are not trekking too far. Finally – you’re ready to this thing. Hold your heads up high and SMILE! There you are – the perfect confetti shot.